The Walsh Jesuit Ironman started in December of 1994 with what by today’s standards would be a small number of teams. Just fifteen schools were present in the field. However, it was a very robust field with power programs present from multiple states. The host school, Walsh Jesuit, was in the midst of its heyday run in which it would win multiple national titles and state tournament titles. The squad Walsh Jesuit put on the mat at that first Ironman, one that they won, would go onto set an Ohio state tournament point scoring record for all divisions. They scored 203 points, the first time a team went over 200; the record would last for ten seasons. Scott Overholt and Jeff Knupp were the lone champions for the Warriors in that first event. The next season saw the debut of Blair Academy (N.J.) at the Walsh Ironman. The Buccaneers would win the December 1995 edition of the Ironman by 24 points over the host school. In 21 subsequent editions of the Ironman, Blair Academy would finish no lower than third in the team standings. This run includes 12 titles in the 23 years of the tournament (22 years with Blair Academy in the field). Most impressive is the stretch of five consecutive titles from the 2001-2005 editions of the event, along with winning five titles in six seasons from 2008 to 2013. The third edition of the Walsh Ironman in December 1996 saw another national power emerge with the tournament championship, St. Edward beat defending champions Blair Academy by 17 points. This started a stretch where the Eagles won the tournament four times in five years (1996, 1997, 1999, 2000). St. Edward added a fifth championship in December 2006. Nationally powerful programs have helped turn the Walsh Ironman into what is clearly the nation’s best high school wrestling tournament, and arguably the single best regular season high school competition in any sport. The fourth team to have won a title in this tournament is St. Paris Graham, a team that has been in the top four of the standings every year but one from December 1999 onward, including fifteen consecutive tournaments. The Falcons were Ironman champions in 2007, 2010, and 2014. In addition to nationally powerful programs, the Walsh Ironman is known for its multitude of nationally elite wrestlers in the field. Nine wrestlers that have competed in the Olympic Games competed on the mats of the Walsh Ironman, including 2012 Bronze Medalist Coleman Scott (Waynesburg, Pa.) and 2016 Gold Medalist Kyle Snyder (Good Counsel, Md.). Furthermore, 22 wrestlers that have competed at the Walsh Ironman have won a combined 33 NCAA Division I championships. 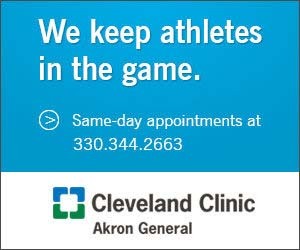 This includes four-time champion Logan Stieber (Monroeville/Ohio State) as well as three-time champions in Ed Ruth (Blair Academy, N.J./Penn State) and Eric Guerrero (San Jose Independence, Calif./Oklahoma State). Guerrero won his Walsh Ironman title at 135 pounds in the first edition of this tournament, with a 6-2 victory over Joe Heskett (Walsh Jesuit); Heskett would win a NCAA title in college and earn four All-American finishes (3rd/2nd/2nd/1st). 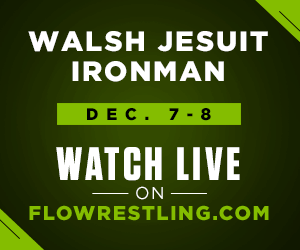 Legendary matches such as the final between Heskett and Guerrero in the first edition of the Walsh Ironman are what make the tournament “tick”, and create the cache around this great event. Another of the many clashes of future legends came in December 2006, when David Taylor (St. Paris Graham) beat Logan Stieber (Monroeville) 7-3 in the championship match at 103 pounds. It was Taylor’s second of four titles at the Ironman, while Stieber would go onto win a pair of Ironman titles. For Taylor, it came a year after he beat Boris Novochkov (Fremont, Calif.) 4-3 in the 103 pound final; Novochkov competed in the 2016 Olympic Games at 65 kilograms for Bulgaria. Taylor is one of two wrestlers in Walsh Ironman history to win the tournament four times. Collegiately at Penn State, he would be a four-time NCAA Division I finalist, winning titles in 2012 and 2014; he also won the Hodge Trophy on both occasions. The other four-time champion of the Walsh Ironman is Zahid Valencia (St. John Bosco, Calif.). His fourth championship victory came in December 2014, when he upended Myles Martin (McDonogh School, Md.) by a 2-2 decision with a rideout in the ultimate tiebreaker; just over 15 months later, Martin would win the NCAA Division I title at 184 pounds competing as a true freshman for Ohio State. The most recent edition of the Walsh Ironman saw a fifth team win the tournament, Wyoming Seminary (Pa.) won the December 2015 edition of the tournament by 25 points over Blair Academy. The Blue Knights had a previous runner-up finish in 2012, along with top four finishes in 2010 and 2014. Heading into the 2016 edition of the Walsh Ironman, the legacy of excellence from teams and individuals over the 22 previous years of the event is extraordinary and it is clear for all to see.